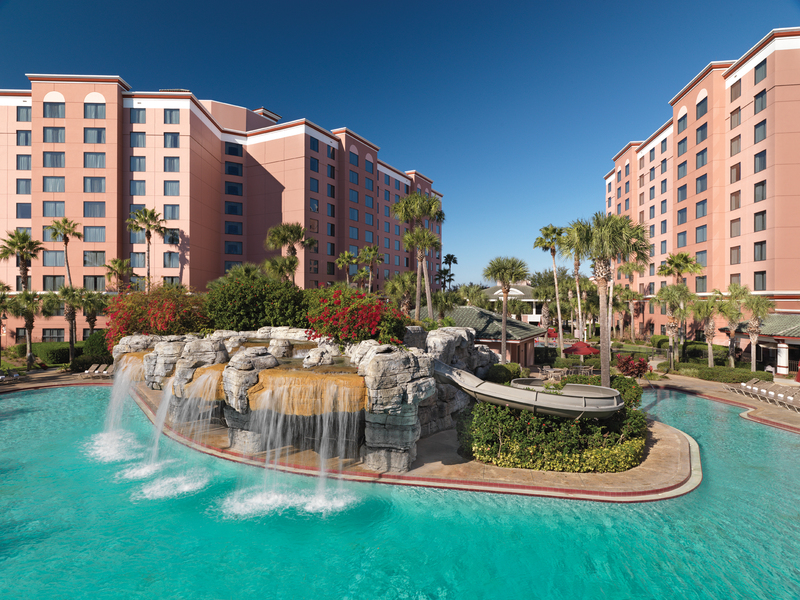 Only one month remains until the 2014 I2SL Annual Conference, where many of us will have the pleasure to meet, learn, and share expertise at the Caribe Royale in Orlando, Florida. We have a great agenda planned, including technical sessions on a wide range of topics, pre-conference training sessions, the Technology and Services Fair, and more. As part of our efforts to make the conference as green as possible and to take advantage of our tech-savvy audience, I2SL will offer an onsite mobile application (app) in place of the printed program this year. 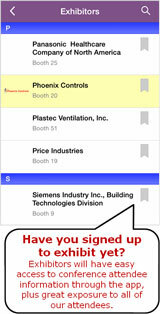 This app will put the most up-to-date agenda, floor plans, attendee contact information, exhibitor listings, speaker bios, and much more in the palms of our attendees' hands. Attendees can use the app to customize their conference experience by planning out which sessions they want to attend, collecting contact information from attendees they meet, and finding their way around the Caribe Royale. In addition to these exciting conference developments, I am pleased to report that I2SL's Global Community has continued to expand throughout the year. I2SL now has six chapters, including the recently approved National Capital Chapter. I2SL's chapters are working in their regions to promote and implement sustainability in laboratories and related high-technology facilities. I encourage you to check out the I2SL website for details about meetings and activities that your local chapter is planning. Find your nearest chapter and get involved! If you wish to start a chapter in your region, contact I2SL. I2SL has also expanded its network through collaboration with The University Financing Foundation (TUFF), Inc.; BioFlorida; and the Florida High Tech Corridor Council, and we eagerly anticipate meeting representatives from these organizations and many more at the 2014 I2SL Annual Conference. Along with the I2SL Board of Directors and I2SL Chapter officers, I look forward to seeing many of you again, as well as meeting the many new participants in our community, at the 2014 I2SL Annual Conference. See you in sunny Florida! The 2014 I2SL Annual Conference will bring together hundreds of experts from around the world to Orlando, Florida, to share knowledge and experience on a variety of topics related to high-tech facilities, including carbon neutrality, energy recovery, user behaviors, and many more. Read on to learn about all of the great conference happenings. Don't miss your chance to be part of this one-of-a-kind event! Register on or before Friday, September 12, 2014, and save $100. 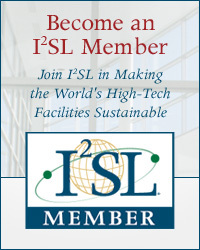 I2SL Members receive an additional $100 discount. Don't miss this view—register and book your hotel room today! Book your room at the Caribe Royale today to be conveniently located where the 2014 I2SL Annual Conference will take place. Conference attendees receive a discounted room rate of $109 per night, including in-room Internet. This rate is effective three days before and after the conference, so consider planning a few days of vacation in conjunction with the event. Today is the last day to secure a room in I2SL's block, so register online or by calling 888.258.7501. After today's deadline, rooms at I2SL's discounted rate might still be available, but don't delay! Reserve your room today. Register to attend the 2014 I2SL Annual Conference. Register on or before Friday, September 12, 2014 to save $100. Onsite conference registration begins at 12 p.m. on Sunday, September 21, 2014. Add a pre-conference training session or evening tour to your existing conference registration. Anytime—spots are still open! Simply enter your registration confirmation number on the registration form. Refer a friend to attend the conference. Refer a friend to register for the conference now, and you will be entered to win a complimentary registration to the 2015 I2SL Annual Conference. The more people you refer, the more chances you have to win! Attendees at the 2014 I2SL Annual Conference can look forward to a suitably high-tech conference program as part of this year's event. The conference will feature an onsite mobile application designed to engage attendees, speakers, vendors, and sponsors in the conference. 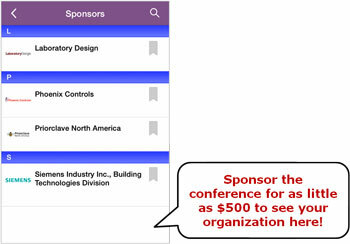 The app puts the latest advancements in the sustainable laboratory and high-tech facility industry in the palm of your hand, in addition to helping you navigate the conference's many offerings. Check out the images below for a preview, and stay tuned for more information about downloading the onsite mobile app. This year's Opening Plenary Session will feature a panel discussion on the expanding life sciences industry in Florida and the plans for central Florida's High Tech Corridor and Lake Nona Medical City. I2SL is delighted to have Thaddeus Seymour, Jr., senior vice president of Tavistock Development Company and president of the Lake Nona Institute, serving as both moderator and a panelist. Panelists Philip Arlen, president and chief scientific officer of Revolution Medicine, and Stephen Gardell, senior director of scientific resources at Sanford-Burnham Medical Research Institute, will also offer perspectives on the challenges and opportunities of establishing biomedical research and life sciences organizations in emerging innovation clusters. Plan to attend the Opening Plenary Session for the opportunity to hear from and ask questions of these distinguished speakers. Get Out and About in Orlando! Join I2SL on Tuesday, September 23, 2014, for an exciting evening tour at Lake Nona Medical City, a 650-acre health and life sciences park in Orlando, Florida. 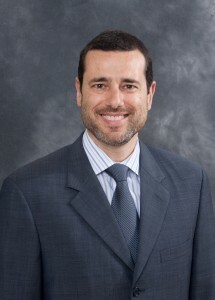 We will tour the Sanford-Burnham Research Institute and the University of Florida Academic and Research Center. Transportation and dinner will be provided. After an introductory drive around the campus, attendees will tour these two buildings and hear from the architects, engineers, and facility managers. The evening tour is always a highlight of the conference! You can sign up for the tour when you register for the conference or add the tour to your existing registration. To find out about more things to see and do in Orlando, visit I2SL's website. 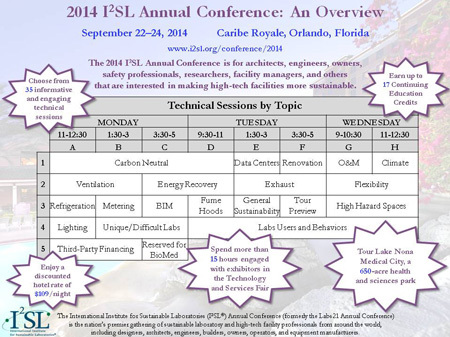 Join I2SL from 1 to 5 p.m. on Sunday, September 21, 2014, for pre-conference training sessions. If you would like to get an introduction to laboratory and high-tech facilities before the conference sessions begin, plan to attend the "I2SL Introductory Course: High-Performance, Low-Energy Design." For those lab professionals seeking to expand your ventilation knowledge, you can choose from "Energy-Efficient Laboratory Ventilation Design Practices and Technologies" or "Laboratory Ventilation Optimization Process to Improve Safety, Energy Efficiency, and Sustainability of Laboratories." This year, we are making these sessions more sustainable by providing digital copies of the presentations. Attendees can download the presentation ahead of time and bring it on a computer or mobile device or print a copy if you choose. For attendees who sign up on site, we will have copies of the presentation files available. Sign up for an informative training session when you register to attend the conference or add a training session after your registration is complete. There is still time to put your organization in front of I2SL's specialized conference audience by exhibiting in the 2014 Technology and Services Fair. This year's event provides additional savings. The Tech Fair will be held in a ballroom, so exhibitors will not need to purchase carpet and can enjoy a more intimate atmosphere. Also new this year, booth staff will receive the lowest conference registration rates available. 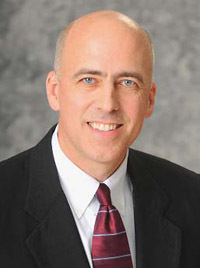 I2SL continues to offer companies that have exhibited for five or more years a $500 discount per booth. To gain more exposure, present a Technology Demonstration, which are 20-minute presentations that take place in the exhibit hall and give exhibitors the chance to freely market and showcase their products or services to an interested audience of conference attendees. Sign up to exhibit today while space is still available! On Sunday, September 21, 2014, at 8 p.m., I2SL and the Environmental Education Fund will screen Chasing Ice, an award-winning documentary that follows photographer James Balog's mission to capture images of the world's changing glaciers. Following the movie, there will be a question-and-answer session with Svavar Jónatansson, the project's field coordinator. Come early to meet and chat with other conference attendees before the show. Admission is free, so beat the late summer Florida heat and join I2SL for this highly acclaimed documentary. Opportunities start at just $500 and include both onsite options and those available through the onsite mobile application. Get your organization in front of Florida's booming high-tech industry by sponsoring the conference today! 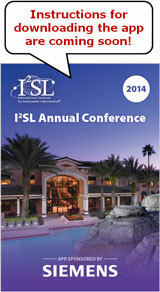 The 2014 I2SL Annual Conference provides an opportunity for you to meet representatives from your local I2SL Chapter. Some chapters are planning conference-related events. 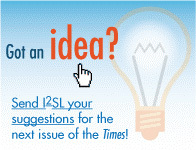 If there is an I2SL Chapter in your region, look for an email invitation to your chapter's event in the coming weeks. 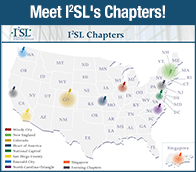 In July, I2SL was pleased to welcome its newest chapter: the I2SL National Capital Chapter. The National Capital Chapter seeks to serve as the Washington D.C. metropolitan area's local resource and networking community for high-tech laboratory and data center users, builders, and suppliers. Through the chapter, like-minded individuals will have the opportunity to collaborate and exchange ideas to further advance the sustainable laboratory and high-tech facility industry. To keep chapter members connected, the National Capital Chapter will offer quarterly and annual meetings focused on technical topics, visiting built projects, and more. I2SL's other chapters are busy planning events during and around the 2014 I2SL Annual Conference. Read on to find out how you can get involved with your local chapter. I2SL's Colorado Chapter invites local laboratory and other high-tech facility architects, engineers, builders, contractors, users, and owners to an Education Day on Thursday, September 11, 2014, at Colorado State University. This full-day event will include technical presentations on building systems, laboratory and organizational sustainability, and carbon neutrality; a tour of the Suzanne & Walter Scott, Jr. Bioengineering Building on the Colorado State University campus; and a 90-minute university roundtable panel discussion that will give attendees and presenters the opportunity to share lessons learned on several topics. The event will provide valuable education, including the opportunity to earn continuing education credits. To attend, please RSVP by Monday, August 25, 2014. On Monday, August 11, 2014, I2SL's Windy City Chapter offered presentations on sustainable design and construction at Argonne National Laboratory. Following the informative sessions, participants took a tour of the buildings and sites presented at Argonne National Laboratory. Another Windy City Chapter event is coming soon. On Monday, October 20, 2014, Gordon Sharp of Aircuity will provide a training session hosted by Hill Mechanical on how to utilize the laboratory energy modeling tool return on investment (ROI) software. If you live in the Chicago region and want to hear about future Windy City Chapter events, contact the Windy City Chapter. The I2SL Heart of America Chapter invites you to participate in a tour of the University of Kansas Medical Center Kansas Life Sciences Innovation Center (KLSIC) on Thursday, August 28, 2014. During the scientist-led tour, participants will visit the state-of-the-art laboratories that are home to research that includes liver disease, reproductive sciences, neuroscience, diabetes, and proteomics. Attendees will meet in the KLSIC Hemenway Building, and the tour will run from 4 to 5 p.m., followed by a discussion period and refreshments. Tour space is limited, so RSVP today reserve your spot. Last year, University of California (UC) President Janet Napolitano launched an initiative for the entire university system, including all 10 campuses, to reach carbon neutrality by 2025. The initiative's key strategies to accomplish this goal include procuring utility-scale renewable energy, procuring and developing biogas, and increasing energy efficiency. Deep energy efficiency measures that decrease energy use by half or more are thought to be the quickest and most cost-effective way for the university to significantly curb its emissions. Specific areas of focus for energy efficiency measures include lighting, information technology, and laboratories. At the 2014 I2SL Annual Conference, UC Irvine Vice Chancellor Wendell Brase will present on the Smart Labs Initiative, a program to overhaul the campus' laboratory buildings to reduce energy use by an average of 60 percent. Read more about UC's work toward carbon neutrality in I2SL's E-Library. In May, the U.S. Department of Energy's (DOE's) Federal Energy Management Program (FEMP) released two case studies on improving the energy efficiency of data centers. In the first case study, "Opportunities to Improve Energy Efficiency in Three Federal Data Centers," LBNL assessed the energy usage and total building energy consumption of three federal data centers and recommended a number of energy efficiency improvements based on its evaluation. These measures included increasing the data center supply air temperatures and installing waterside economizers, among others. 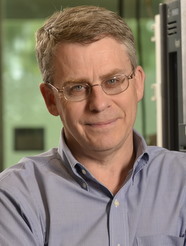 The second case study, "Innovative Energy Efficiency Approaches in NOAA's Environmental Security Computing Center in Fairmont, West Virginia," estimated the impact of implementing energy efficiency measures at the National Oceanic and Atmospheric Administration's computing center, based on four different deployment scenarios. Federal contracting personnel and program managers seeking to fulfill green purchasing requirements need not look any further. The U.S. General Services Administration's Green Procurement Compilation (GPC) offers a comprehensive green purchasing resource that consolidates green purchasing specifications from federal environmental programs, such as ENERGY STAR®, Design for the Environment, and FEMP. GPC is also part of the Sustainable Facilities Tool, which provides details about procuring green biomedical equipment and supplies, as well as sustainability strategies for laboratories. Recently, after incorporating stakeholder feedback, the U.S. Environmental Protection Agency (EPA) and DOE released the Final Test Method for Laboratory Grade Refrigerators and Freezers. This test method determines product compliance with ENERGY STAR eligibility criteria and includes specific instructions regarding test conditions, setup, methodology, and reporting. Over the summer, EPA began collecting data on product energy performance using this final test method, and this input will further contribute to the specification development process. Pre-conference registration ends Friday, September 12, 2014, and onsite registration begins at 12 p.m. on Sunday, September 21. Register for the 2014 I2SL Annual Conference before pre-conference registration ends to save $100 on your conference registration fee. Fulfill much of your annual training requirements in September. Conference attendees who participate in the entire conference and a pre-conference training session can qualify for up to 17 continuing education credits. Learn more. Thank you to everyone who nominated an outstanding person, product, or project for the 2014 Go Beyond Awards! The Go Beyond Award winners will be recognized at the 2014 I2SL Annual Conference. The ceremony will include the presentation of the first-ever Building Information Modeling (BIM) award, co-sponsored by buildingSMART alliance. This month, I2SL recommends articles about the University of California's efforts to achieve carbon neutrality by 2025.